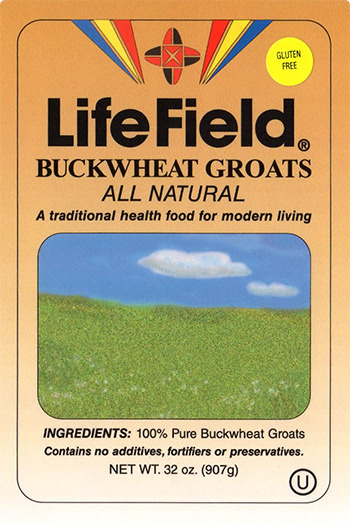 Prepare LifeField Buckwheat according to basic recipe instructions on package. Set aside. Heat olive oil in deep saucepan over medium heat. Add onion garlic until soft. Do not brown. Add stewed tomatoes, both beans, and green pepper. Bring slowly to a boil. Reduce heat, cover, and simmer for approximately 20 — 30 minutes, or until chili becomes “stew like° in consistency. Before serving combine LifeField Buckwheat with chili and stir together. The LifeField Buckwheat will give your chili extra body and a nutty flavor. ENJOY! 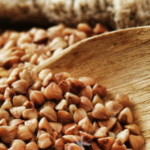 The Buckwheat is a great substitute for just plain white rice. And the recipe is so easy and tasty! Boil water, add LifeField Buckwheat Groats, gently stir, reduce heat, cover for about 12 minutes. Set aside. In separate skillet, heat oil, saute garlic and onion over low flame for two minutes. Add olives and peppers, dill, salt and pepper, stir, simmer for five minutes. Fold vegetables into buckwheat. Combine LifeField buckwheat vegetable mix with meat, salt and pepper and herbes de Provence. Mold into rectangular shape. Place on Baking dish, loosely cover meat loaf with aluminum foil to retain juices. Bake for one hour and 15 minutes. Serve with Mushroom-Wine Sauce on a platter garnished with watercress and steamed carrots, and a green salad. Serve Mushroom-Wine Sauce in small gravy bowl.